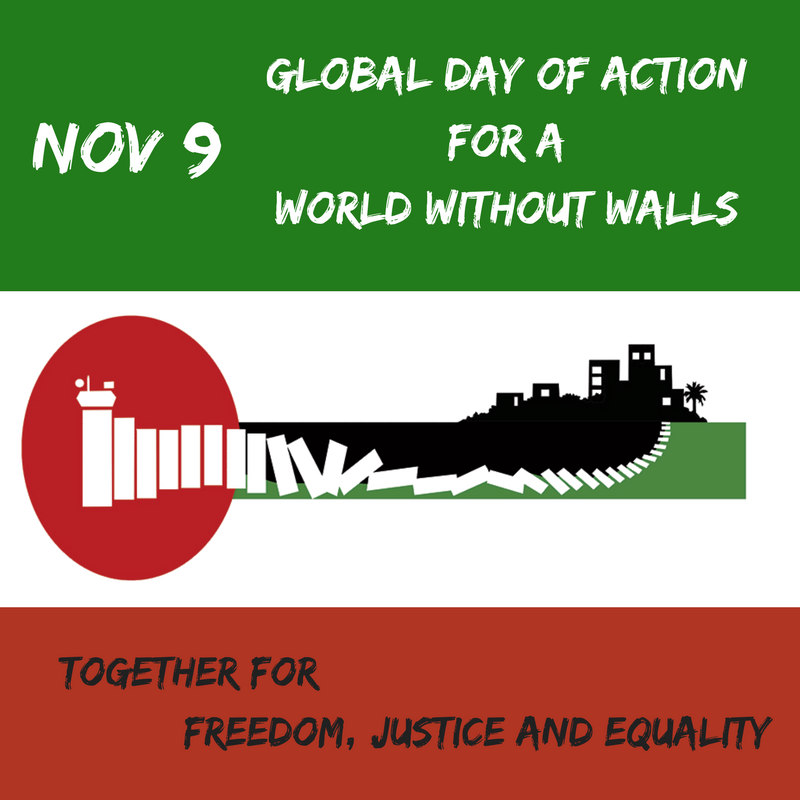 You and your organisation want to join the mobilization for a #WorldwithoutWalls? Let us know but endorsing the call to action. You can sign the call in English here and in Spanish here. Let other people know that a #WorldwithoutWalls is under construction! 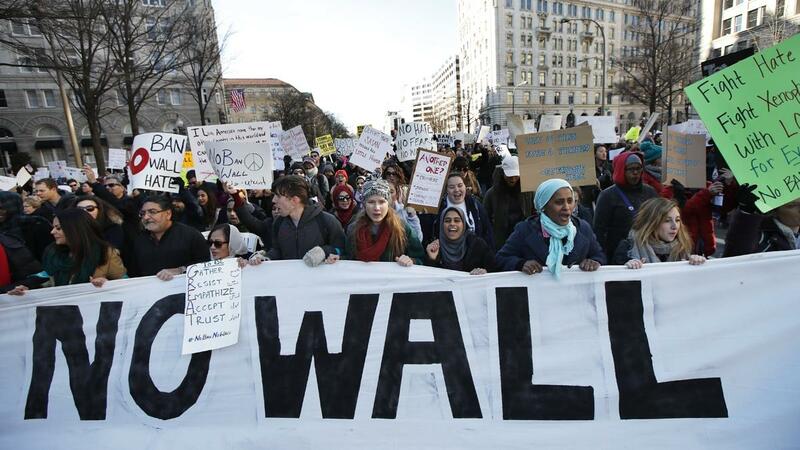 Please check out, follow, like and share call for action and the stories of the movements and groups joining the mobilisation and struggling for a World without Walls. 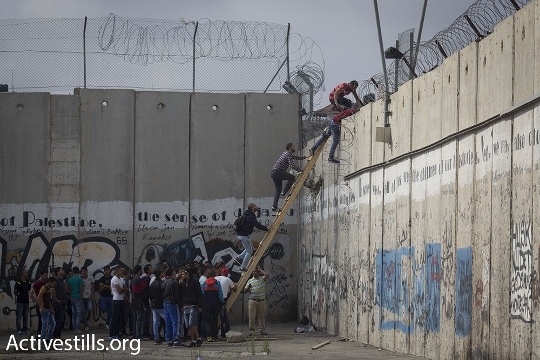 We want to show in how many places around the world people and movements are every day building a #WorldwithoutWalls. We want to promote your struggles and actions against the walls. To make this possible, we need your contribution. 3) If there is already graphic, visual, and/or audiovisual material, please share it with us. 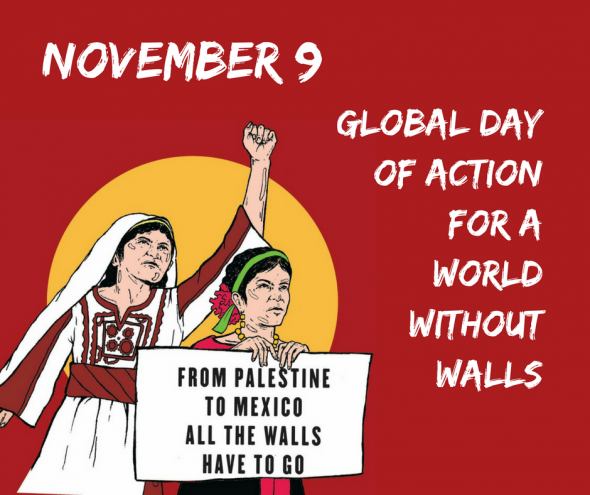 Discuss with your group what kind of actions you would want to build for November 9 - Global Day of Action for a #WorldwithoutWalls.This can be street actions, seminars, exhibits, cultural events, media action - it is up to your creativity. Please keep in mind that we are already building a #WorldwithoutWalls in our daily struggles and campaigns. You may already be planning some action around November 9 that fights a wall of injustice and/or contributes to a #WorldwithoutWalls. 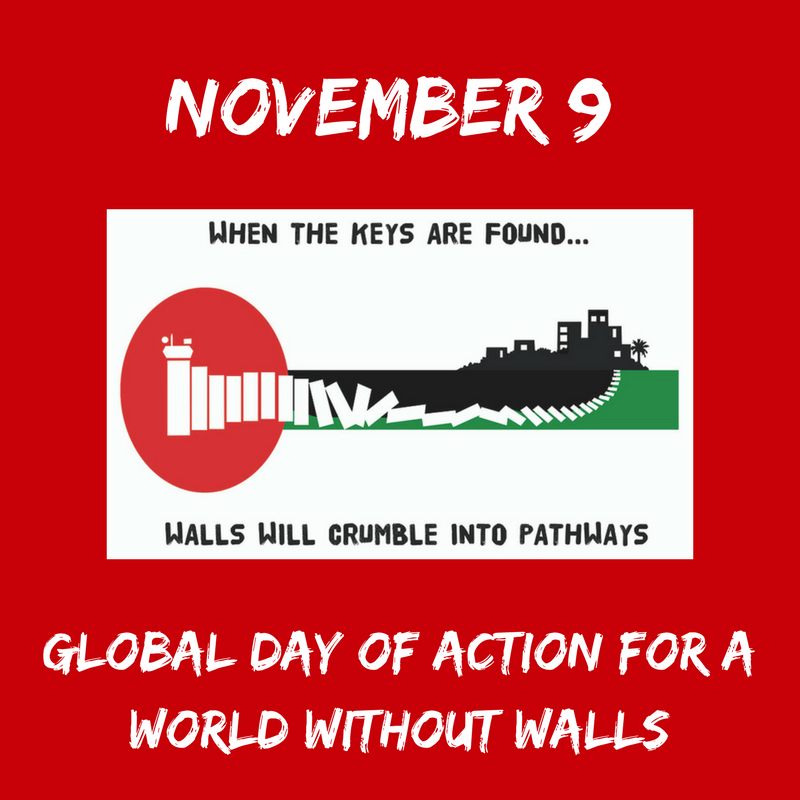 You may want to consider this your contribution to the Global Day of Action and hold the initiative under the banner of a #WorldwithoutWalls. You can show that your efforts are part of global struggles for justice, freedom and equality. Take a moment to think who is it that in your location or area of action fights the walls of injustice and builds a #WorldwithoutWalls. Please help us to reach out to these groups, alert them about the Global Mobilization for a #WorldwithoutWalls and encourage them to join in. Their contribution is as necessary as yours and we want to hear their stories as well.